The Every Student Succeeds Act (ESSA) of 2015 prohibits schools from excluding students with disabilities from the educational accountability system. The Oklahoma State Department of Education, Special Education Services division is dedicated to ensuring students with disabilities and their unique needs are taken into account as they participate with their peers in the assessment process. Students with disabilities on an Individualized Education Plan (IEP) must be included in all state and district-wide assessments. The IEP team determines annually how the student will participate in state and district-wide assessments - with or without accommodations, or using alternate assessment. The Oklahoma Alternate Assessment Program (OAAP) is a component of the Oklahoma School Testing Program (OSTP) and is designed for students with the most significant cognitive disabilities. The OAAP mirrors the general assessment system in regards to grade levels and subjects assessed and utilizes the Dynamic Learning Maps (DLM) Alternate Assessment System to measure academic content knowledge of students with significant cognitive disabilities. The academic achievement of students participating in the OAAP is measured against alternate achievement standards, which differ in complexity from the achievement standards of the general state assessments. In order to participate in the OAAP, students must require alternate achievement standards in all content areas and must have an IEP containing rigorous, measurable goals that include short-term benchmarks/objectives. In addition, students must meet the criteria identified in the The Criteria Checklist for Assessing Students with Disabilities on Alternate Assessments and the IEP team must determine an alternate assessment is appropriate for the student. The Every Student Succeeds Act (ESSA) mandates that no more than 1% of all tested students may participate in an alternate assessment. IEP teams should discuss the accommodations needed for students to participate in the general assessment prior to considering eligibility in the alternate assessment. The DLM Alternate Assessment systemcontains both an Instructionally Embedded(IE) assessment and a Year-End assessment(YE) assessment. IE assessments are optional but highly recommended whereas the YE assessment is required and is used for the purpose of state and federal accountability. The optional IE assessments do not affect student performance level results but do provide students with an avenue to practice within the assessment system platform prior to YE testing. OAAP Updates and memos contain timely information regarding the state's alternate assessment system and are disseminated through electronic mailing lists. Please fill out this form if you wish to receive OAAP Updates and memos via the mailing list. Click here to view 2018-19 OAAP Updates and Memos. Click here to view 2017-18 OAAP Updates and Memos. Educator Portal Help Videos - New, informative videos lasting roughly 1-2 minutes each that demonstrates Educator Portal procedures to help Data Stewards and Assessment Coordinators are now available. These videos cover topics such as adding and editing rosters manually, adding and editing students manually, exiting students manually and more. Educator Portal User Guide - Identifies Educator Portal procedures to help Data Stewards and Assessment Coordinators. Assessment Coordinator Manual - Contains guidance for preparing district and school staff for testing. Technology Specifications Manual - Identifies the technology needs of the DLM assessment. Data Management Manual - Contains directions for enrolling students, creating/modifying rosters, and removing students. State Organizational Table - Used during the enrollment process; contains school and district identifiers. District Staff Trainings - Webpage dedicated to district-level staff training. 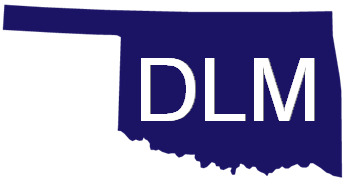 DLM Professional Development page - This site was developed to provide professional development for educators working with students with significant cognitive disabilities. It focuses on teaching and learning in the areas of English language arts and mathematics, while also providing important information regarding components of the Dynamic Learning Maps™ system. Educator Resource Page - Webpage containing TIPs and other resources specific to test administration. ELA Familiar Texts - These texts may be downloaded and used in instruction. Test Administration Manual - Supports Test Administrators in preparing themselves and students for the DLM assessment. Accessibility Manual - Provides guidance on the selection and use of accessibility features.